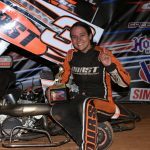 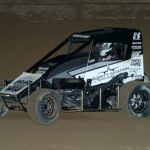 Dave Mac Motorsports will expand to two midget entries this season, fielding a second car for 17-year-old Oklahoma micro sprint racer Kaylee Bryson. 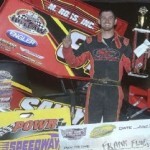 Coming off racing at the Belleville Bash, POWRi will head to Fayette County Speedway in Brownstown, Ill. on May 16th. 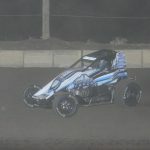 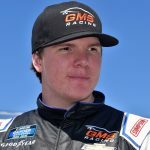 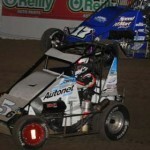 Saturday night, when the Lucas Oil POWRi California Lightning Sprint Series visits Barona Speedway for the third race of the season, it will have an extra driver on the roster. 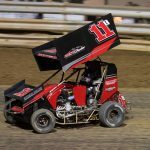 As if Christopher Bell's dominating performance during the Inaugural Turn Pike Challenge left room for doubt in anyone's mind, the Oklahoma native's dominating performances easily laid those questions to rest as he backed up a clean sweep of the 2014 event with another pair of triumphs this weekend. 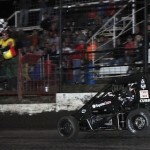 Frank Flud ran away with all 30 laps of the $5,000 to Win Cornhusker Nationals, claiming his second POWRi Speedway Motors 600cc Outlaw Micro Series victory on Friday. 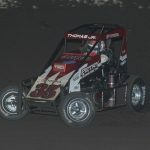 After trading the lead three times in the last minute of the race, Kevin Thomas Jr. held off fellow Toyota driver Tanner Carrick to win Saturday night’s POWRi Lucas Oil National Midget League feature at Macon Speedway. 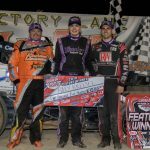 Landon Simon picked up his second POWRi Lucas Oil WAR East Sprint Series victory in three days on Friday at Jacksonville Speedway.